'); $(this).css("background", "#000 url(//i2.ytimg.com/vi/"+youid+"/0.jpg) center center no-repeat"); $(this).attr("id", youid+index); $(this).attr("href", "//www.youtube.com/watch?v="+youid+(start ? "#t="+start+"s" : "")); var emu = '//www.youtube.com/embed/'+embedparms; emu += ((emu.indexOf("?")==-1) ? "?" : "&") + "autoplay=1"; var videoFrame = ' '; $(this).attr("onclick", "$('#"+youid+index+"').replaceWith('"+videoFrame+"');return false;"); }); }) //]]> Dolores Delargo Towers - Museum of Camp: Zat international zensation..! It's the birthday today of our Patron Saint of Pizzazz, Miss Liza Minnelli! All hail. Also worthy of note, however, if the fact that it is forty-five years since that magnificent cinematographic work of genius - the film that launched our elfin icon to international super-stardom - Cabaret was first released in cinemas. Bob Fosse decided at an early stage not to make a film version of the stage musical. Instead, he revisited Christopher Isherwood's original works upon which the stage adaptation was originally based, and included characters and plot lines (especially those involving Fritz, Natalia and Max) from I Am a Camera and Berlin Stories that did not appear in the stage version. Mr Isherwood himself felt Liza Minnelli was too talented for the role. Sally, an amateur talent who lived under the delusion she had star quality, was in his opinion the antithesis of "Judy Garland's daughter". Two of the original stage show's leading musical numbers Don't Tell Mama and Married were removed from the film version, yet both actually appeared in the film. The former's bridge section appears as instrumental music played on Sally's gramophone; the latter is initially played on the piano in Fraulein Schneider's parlour and is later heard at Sally and Brian's picnic in a German translation (Heiraten) sung by cabaret singer Greta Keller. The song Maybe This Time was not written for the film. Kander and Ebb had written it years earlier for Kaye Ballard (and thus it was ineligible for an Academy Award nomination in 1973). 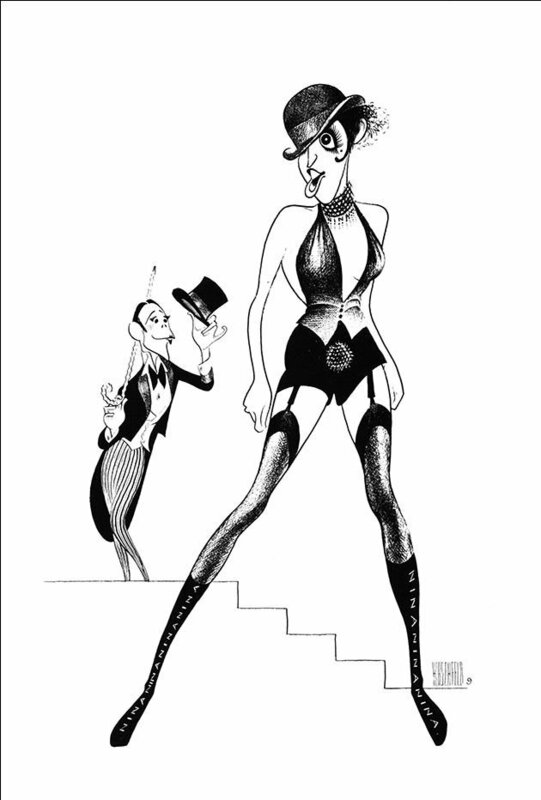 Cabaret has the distinction of winning the most Oscars (eight in total, including Best Actress for Liza, Best Supporting Actor for Joel Grey and Best Director for Mr Fosse), without winning Best Picture. would you believe I have never seen this movie? and joel grey is gay too! Thanks, Jon for the reminder. It is a classic, near perfect in casting. As for Michael York's role, I do hope you saw also him in Harold Prince's first movie, made 2 years earlier – "Something for Everyone" – a fascinating, long neglected film, also starring Angela Lansbury. Michael's character has 'Five-bob each way' in that one, bedding both Angela (as Countess) & her son! Although it has never been restored, I see that it has now gone to Blu-ray. This was one of the first films my folks bought me on VHS at eight years old...I was apparently a precocious child. An astounding life changing film that remains in my personal top 10! Divine decadence indeed! I had the soundtrack on LP and played it often. Those years as a 30's Weimar dance hall hostess were especially hard?! ;) My mum and I used to watch Midday movies when I was really small ('Waterloo Bridge' w/ Vivien Leigh & 'Funny Lady' specifically stick in my mind), so when the magic of home video came along she continued my film education with 'Cabaret' along with films like 'Funny Girl', 'Ziegfeld Follies' & 'Grand Hotel'. ..."we thought they'd never end..."